The first book written by Ben Swetmore. 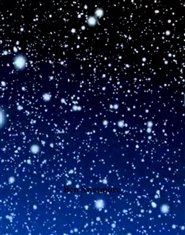 The book features eight pages with several intresting stories including "The Farmstead" "The Alien Among Us" "The WWII Time Traveller" and "Hammy's Adventure". Note that their are extra pages in the book that are blank, due to the author's error, However you will not be dissapointed with the great stories found within the book. A must have for Sci-Fi and Short Story lovers! Nearly 20 pages of fun and epic stories. The book includes eight brand new original stories by Ben Swetmore, as well as several new comics by the author. At the end of the book are extra public domain comic strips as well. A must have book for comedy lovers. If you want a good laugh, you won't regret purchasing a book as wonderful as this. 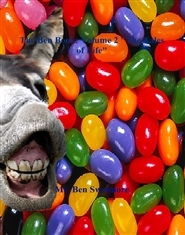 Stories within include "Martin's First Date", "Kye and the Jellybean Addiction" "The Ferris Wheel" "Kye and the Old Man" "Ben's Surprise Party" "Ben's Lemonade Stand" among several others. If you would like to read more stories like this, be sure to check out Ben's autobiography which contains great bonus stories! 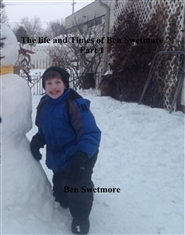 A book detailing the life and times of book author Ben Swetmore. Included at the end of the book are several never before seen stories by the author. A must have book for anyone that loves reading. You won't find a better book to enjoy reading this summer, so check out this great autobiography! 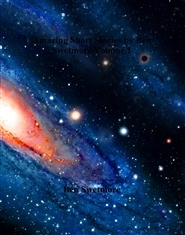 55 Pages containing the many writings of Ben Swetmore, including his old school writings, essays, written plays, and more. You won't be dissapointed with a book like this, especially if you like deep philospohical writings, then this book is surely for you!